The expenses associated with getting married can be astronomical. As soon as the ring is put on the finger and the planning starts, the excitement can easily turn into financial stress as the costs get higher and higher. But a "dream wedding" shouldn't translate to an "expensive wedding." 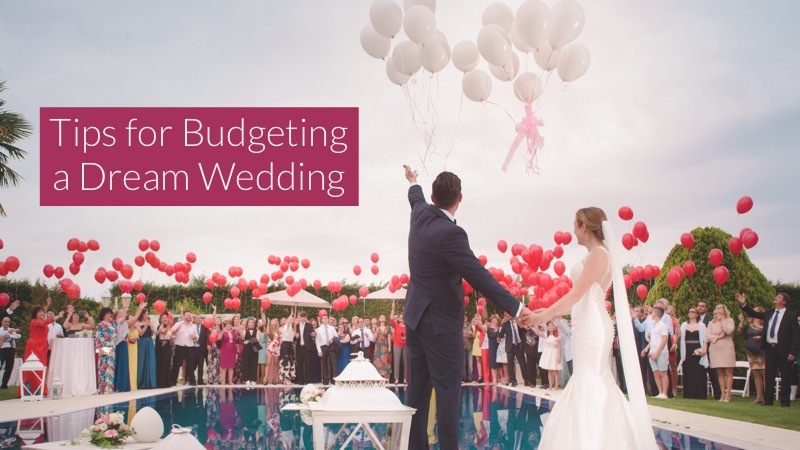 Here are some tips for planning the wedding of your dreams without breaking the bank! Think about what matters most to you. Typically, the costs at the top of mind for most couples are the venue, photographer, food and drinks, entertainment, dress, cake and flowers. If one of those is more important to you than the others, allow yourself to budget a higher portion of your money to that specific thing. For example, if you want your guests to have a great time more than anything else, put more money aside for a great DJ or band. In contrast, if the flowers aren't a big deal, go with a budget florist or don't get any flowers at all! The good thing about throwing a wedding today is that lots of people are ditching traditional ceremonies for more intimate, friend and family focused affairs. Don't feel like you have to invite everyone you know. And just because someone invited you to their wedding, doesn't mean you have to invite them to yours. This will save room in the venue for guests who you hold near and dear as opposed to someone you haven't seen in years and may not see again. Don't go overboard with wedding favors. After all, do your guests really want a wine glass carved with your initials? The concept is nice, but they'll never use it again -- even if they even remember to take it home. In fact, favors aren't even necessary. Your guests are more likely to remember your wedding if they had a good time than if you give them a useless wedding favor. Put that money back into making your wedding awesome! Be smart about your wedding registry. Part of planning a wedding involves registering for gifts. Be sure to use a retailer that allows you to get exactly what you want from guests, yet has an easy return policy in case you change your mind. A Target wedding registry, for example, allows you to return and exchange registry items for up to a year without a receipt. You can also use it to fund newlywed experiences. Guests can use new 2019 Target coupons online to save on gifts. Ask for help. Just by talking with people, you might discover an acquaintance who does part-time DJ work for a price cheaper than mainstream wedding DJs. Or maybe a friend is really good at hair and makeup and would like that to be your wedding gift, saving you the cost of going to a salon on the big day. And where the cake is concerned, maybe you know a great baker who would love to help. Keep in mind that anything is game these days, and cupcakes are an easier and more affordable trend. You don't need a massive three-tiered wedding cake if you don't want one. With the onset of Pinterest and Instagram, it can be easy to get caught up in what you think your wedding "should" be like instead of what you want it to be. Don't let that happen. Remember that this is your day, and you have the right to ensure that you have memories about the things that matter most to you and your fiance alone. Start by defining what a "dream" wedding means to you and than reassess your priorities so you can make it a reality.